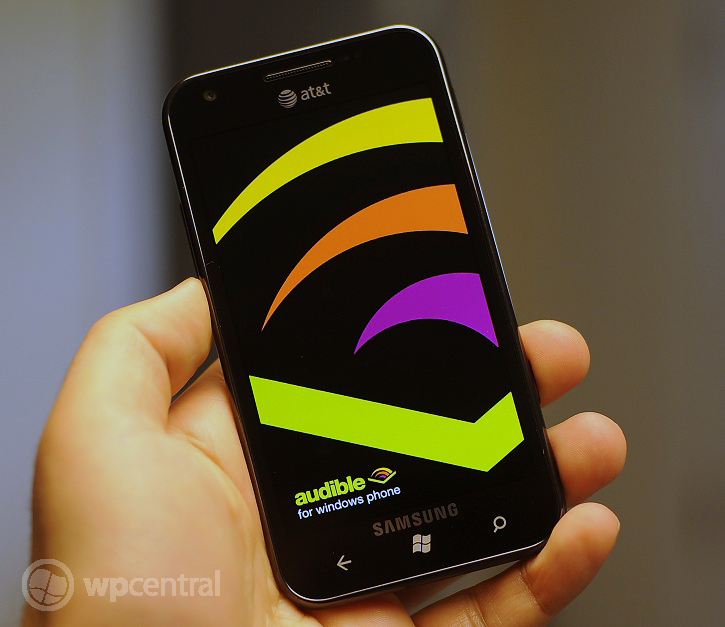 We've been waiting for a long time for an Audible client for Windows Phone and that day is finally almost upon us. Currently the popular audio-book app is in limited beta testing but we managed to get our hands on a copy and to be honest, we're impressed. The folks at Audible have given time and consideration when making this app as opposed to rushing some basic player to the market and it shows. One small downside is that it uses the built in browser/embedded IE9 for book purchasing as opposed to a dedicated native marketplace. The embedded option works well enough but it feels a little jarring to be ejected momentarily from the app-experience. The design of the app is really striking and in our mind, Audible has done a knock out job here. In addition, there are enough options to keep most users happy but not too much as to overwhelm. While purchasing audio books may not be everyone's cup of tea (gosh, they're expensive!) we know many of you really insist on this service and for you , we have just a few words: you won't be disappointed. Look for the official Auidble app to hit the Marketplace in the next few weeks. We'll of course keep you abreast of when it finally is released here at WPCentral. Thanks to Jack K., for the assitance!